1st printing. Story and art by Bill Slavin. 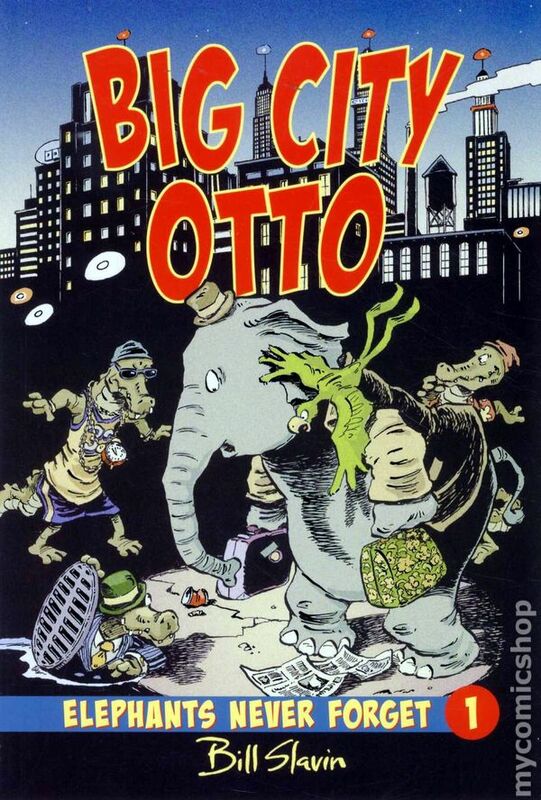 Otto is a lumbering, sweet-natured elephant who can't forget his childhood chum Georgie, a chimpanzee who was abducted and shipped away from their forest home. Accompanied by a wisecracking but protective parrot named Crackers, Otto decides to hop a plane and look for Georgie in America. Softcover, 6-in. x 8/ 1/2-in., 80 pages, full color. Cover price $7.95.